Do time outs really work? Many parents use time outs to discipline, but here’s why time outs don’t work and what to do instead. You hear it all the time: If your child misbehaves, put him in time out. He’ll learn those actions aren’t tolerated, and that consequences follow his misbehavior. You can even consult charts that suggest how many minutes per age to put him in time out. Heck, my kids’ own pediatrician recommended this method. Except… I’m not buying it. Formal time outs haven’t been part of my parenting method. I do agree that using time outs is a better alternative than losing your cool or spanking your kids. And we all have days where isolating kids in a corner is the smartest thing we can do, to calm our kids and ourselves down. Of course, you might say. That’s the point, right? Punishment means removing the things kids enjoy. No people, no toys, no fun. Sit and learn your lesson. Except, they’re not learning their lesson. Alone in that corner, your child isn’t thinking about why she shouldn’t have hit her baby sister. She’s not thinking it’s her actions and not her as a person that’s in question. Or reassuring herself that her feelings are valid or that she’s loved no matter what. No, she’s still fuming at the unfairness of it all. She doesn’t understand why she’s punished when her baby sister ruined her building blocks. She might even think she’s a bad person for deserving this time out. Why? She has nobody talking to her about these issues. She’s all by herself. 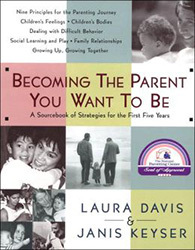 I refer to this as “honoring the impulse,” a term coined in the book, Becoming the Parent You Want To Be by Laura Davis. When we send our kids to time out, we overlook the underlying and valid reason they acted up in the first place. For instance, my toddler had a horrible habit of hitting others. My first reaction was to isolate him. Hitting warrants an extreme reaction, I reasoned. Except I didn’t address my sons frustration. In his mind, he was hitting his brother because he didn’t want his toy taken away and had no other way to say so. Hitting is never the appropriate way to express frustration. But in sending my son to a time out, I didn’t acknowledge the underlying reason. For all I know, he might think he gets time outs whenever he gets upset. We don’t get to ask ourselves whether their misbehavior was normal when we whisk them off to a time out. We don’t realize that hitting, no matter how inappropriate, is still common for toddlers. Or maybe we forgot that he skipped a nap and was feeling tired. These aren’t excuses for hitting. But understanding the motive behind his misbehavior reveals that his frustration was valid. Time outs also embarrass kids. Making kids feel bad—whether through embarrassment or punishment—isn’t the goal of discipline. The goals include things like learning acceptable conduct. Regulating her emotions. Following directions. Not feeling terrible about themselves. Learn what to do when your child hits others. The biggest mistake we make with our kids’ emotions? We place judgment on them. We embrace our kids when they’re happy, excited and in a good mood. But we send them off on their own when they’re angry, frustrated or sad. Time outs teach kids that negative emotions should be hushed or ignored, not sorted or dealt with. We tell our kids, “If you’re going to be that loud, then go cry in your room.” All because we don’t want to sit with them during their sadder moments. And we repress and label certain emotions as bad instead of for what they are: They’re feelings that come and go. Nor do they define who we are—we feel bad, we’re not bad people. This doesn’t mean you smother your kids with hugs and affection when they’re frustrated. Some kids need time and physical space to settle their emotions. And the same child who takes to hugs and kisses might sometimes want to be alone. But they should know that we’re always here and nearby when they’re ready. See how you may be judging your child’s emotions. During time outs, kids don’t have us nearby to help them regulate their emotions. We can’t discuss their feelings. Or reassure them that unsettling feelings are normal and will go away. Kids don’t learn to take deep breaths or feel comforted by a nursery song or a beloved stuffed animal. They don’t learn those coping methods when they’re sitting on a chair away from us and any comfort items they could use. What then is an alternative to time out for discipline? If time outs aren’t effective, how can we discipline when time-outs don’t work? When your child misbehaves to the point where you’re drawn to implement a time out, draw him in instead. This is the time he needs you most. Not just when he’s chipper and happy, but when he’s sad, angry and confused. In connecting with our kids, we can see their point of view. We’re better able to decide whether their misbehavior was developmentally appropriate or not. 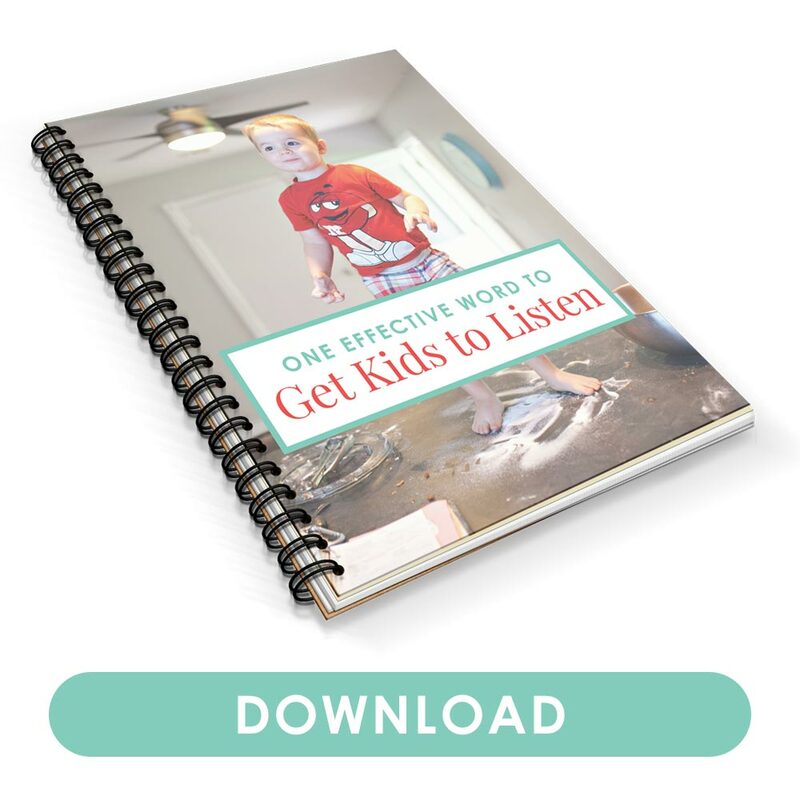 Read more about alternatives to time outs. Sometimes you don’t even have to talk. Your child can be in such a meltdown that he can’t listen or doesn’t want you to hold him close. In this case, stay nearby and say, “Mama’s right here to help you if you want” and try reaching out again in a few minutes. At least he knows he’s not alone with his emotions. That you won’t abandon him when he misbehaves or when he’s feeling terrible. Let them cry to you. My kids calm down much faster when I say, “Mama’s right here. You can cry to me,” than when I lose my temper. They know I’m on their side and I’m here to help. They need compassion and comfort, not distance and isolation. Read the difference between distraction and redirection. Our reactions. Maintaining composure after our kids misbehave is hard. We lose our temper. We throw our own tantrum. We’re having a bad day that has nothing to do with them (tired from work, worries about our finances). And we take it out on our misbehaving kids. Our first reaction is to punish them. The false belief that love rewards misbehavior. We assume that kids will continue to misbehave when we give them attention. But you’re not letting them “get away with it” when you comfort your kids. Letting them continue to throw food and hit other kids sends that message. Instead you guide and love him even through his lows, not just when he’s happy and behaving. Don’t withhold your love as a punishment. Time outs have their place. They’re a much better alternative than losing your cool or saying something you’ll regret. And sometimes you need a time out yourself; a chance to breathe and calm down. But time outs are hurting your child and aren’t always effective. We lose so many opportunities to show our kids the right way to behave. We isolate them at the time they need us the most. And they don’t learn how to regulate their emotions so they stop misbehaving in the long run. Instead, draw your child in. You’re not letting her get away with misbehavior—you’re still going to enforce those rules. But you’re there to comfort, guide and support. After all, she needs your love through thick and through thin, through good behavior or not. Your turn: What are your thoughts on time outs? Do you agree that time outs don’t work? How do you discipline your kids when they misbehave? Share your thoughts in the comments! And yes, I found that time-outs are most effective to curb our own craziness instead of as a learning tool for the kids. Just this weekend, the Husband reminded me of when T was just entering the terrible twos and we were both wondering if there was any point to the time outs. We’re still advocates of time out, but I’ve become better about reminding why the time out happened and why it’s not good. I like the idea of offering an alternative behavior too. I do use Time Outs but I agree they are more for me than Mushroom! When I am patient and look for the cause of his behaviour it’s usually much easier to work with him to manage it than to punish him for what is usually – as you say – simply age appropriate behaviour that he is still learning to manage himself. I have never liked time outs, and it is nice to have the research agreeing with my instincts. They were considered the go-to parenting technique when my first two kids were toddlers, and while I tried it a few times it always bothered me and never seemed to work. I do a lot of preventative parenting to avoid escalated situations, and when meltdowns do happen I find that hugs work wonders, as does talking about what happened once a child has calmed down enough to have a discussion. We work on labeling emotions when we aren’t upset, as well, so that those tools are available when we need them! Like you, I didn’t think to do time-outs when my kiddo was that age, even before the research. It felt like how kids get “grounded.” Yes there’s punishment, but then what? It was actually your book recommendation of Peaceful Parenting that spelled out what I thought in my mind all this time, so thank you! I try to use time-outs infrequently because like you said, they don’t work. I guess the threat of going to his room works ok but really doesn’t address the root. I like your advice to draw them in, recognize their feelings, and come up with a solution together. Gotta remember this when I just want to scream at the kid instead and be mad at him for being mad. We’ve all been there Lisa. Just today I had to catch myself from losing my temper with my toddler, all just because he was being whiny. I realized he needed me most at this time, and he needed me to be patient and kind, not annoyed (even though he was being annoying). I agree that timeouts aren’t always effective, but they do have their place. I think parents can do everything you described and still put their kids in a timeout for a misbehavior. I don’t agree that there’s always a reason for misbehavior like hitting. I have watched my son hit is sister for NO reason. Seriously, none. He has been outside with her when she did nothing to start anything, he looked up at the window to see if we were watching (he couldn’t see us, so he thought we weren’t) and then whacked her over the head with his plastic baseball bat. As one of my friends put it, sometimes kids are just little sh*ts. And I completely agree with that. I’m left at a loss of how to deal with situations like that. He’s 4.5 and he totally knows he’s not supposed to hit, so he’s making a deliberate choice to do something wrong when he does it. That’s where I felt the Peaceful Parenting book came up short. It left me with a lot of what I shouldn’t do, but not a lot of what I should. I definitely don’t feel like I should just pull him in and give him a hug when he does something like that and if I’m not supposed to give him a time out, I really don’t know what I should do. At that point though, since he would probably be calm or quiet, I don’t think I’d send him to his room. I’d tell him, “We don’t hit. When you do that, it hurts your little brother,” or something to that effect. Use that moment to lay down the rule instead of sending him off. Either way, he knows he did something wrong, but at least with telling him, he’d know why. 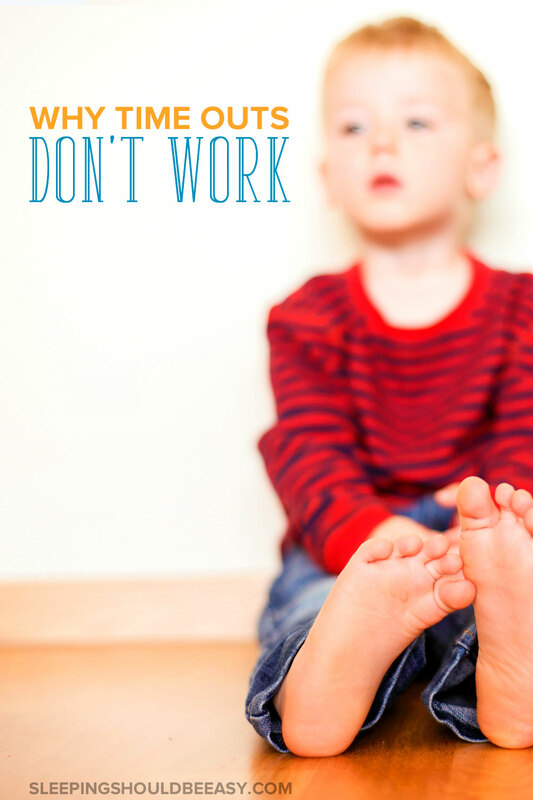 Love this post – I actually find time outs to be quite ineffective for my 3yo and LOOOOVE the idea of having other ways to handle these situations!! Will pull this out the next time he does something where I feel I must act (usually, I just “ignore” — if he yells or something like that, I just don’t acknowledge). But if he hits me? I feel I must say or do SOMETHING – but don’t love the time out idea or feel it really works. Rebecca you’d be surprised at how often “ignoring” has worked for me too! It’s not so much ignoring as basically not making a huge deal about it, at least when it’s really not. But yeah, if it escalates, then I have to draw them in. Because sometimes I feel like they act up because they know they get attention that way. My way of countering that is to realize that their acting up means something is off and they probably need some genuine mama and daddy time before they explode lol. Awesome, thanks for chiming in! I love hearing how different methods work for different families. That’s great you’re aware of what you need to make it work (consistency) as it seems to contribute to the success of the time outs! I love that- “honoring the impulse”. You did an excellent job laying out all the different ways to look at time outs and the importance of acknowledging the perceptions and feelings of littles. thank you! Thanks so much Amy! Yes, I love ‘honor the impulse’ — read that from Being the Parent You Want to Be, one of the best parenting books I’ve ever read. Have to admit that they didn’t really work for me, so I found this very interesting! I think that time-outs are a useful place to teach calming down technics and have a safe place for discussion and instruction. When my 2 year-old daughter takes my infant sons toy from him and says “mine” and then hits him on the head with it… she is put in a time out chair and we tell her “no hitting and no swiping”, and we put a timer on, if she is crying we help her “breath” and calm down, we go over and discuss her behavior and then if she understands what went wrong we wait for the timer to beep and get her down, have her correct it and then she gets affirmation from us that she is making the right choices now. Those are awesome tips, Summer! And yes, it’s a time-out but seems very much like a time-in with your engagement and using it as a way to self-soothe and learn from the moment. I like how you’ve really emphasized breathing and regulating, too! I have 2 kids, a boy and a girl that are 13 months apart. (I’m sure with your twins you have many of the same issues I do). I do use time outs along with other forms of punishment, however, I think that many moms don’t realize that children will almost ANYTHING to get your attention, be it good attention or bad attention (IE: time outs) I always do my best to sit down with both kids after punishment or praise to explain why it has happened. Because of that, even at the ages of 2 and 3 they have begun punishing and praising each other!!! Its actually quite humorous to watch and listen to. They sit in timeout together, and share prizes for being good! It has been proven that children learn more in the first 5 years than the whole rest of their lives, so treat them like people and watch the amazing results! Sam it’s so true that children will respond to the kind of attention we give. So if we only pay them attention when they misbehave, then they’ll find ways to misbehave. I think you’re doing great by discussing their actions with them! And yes, my kids totally discipline each other sometimes but I try not to let them do that (“That’s my job” I tell them). Still, it’s so hilarious sometimes! I believe that time outs are effective as long as you talk with the child before and after. Before the time out, you need to tell them what they did wrong, why it was wrong, and an acceptable alternative. After the time out, you should remind them what you don’t want them to do again, make sure they know you still love them, and then release them. If you do time outs like this, they are much more effective. I learned this in my Child Development class at school. Oh awesome Randi, thanks for sharing! I think that’s an effective way of handling misbehavior. I tend to do the same but minus the sending them away part. I love that you talk to them before and after about their behavior and reassuring them that you love them no matter what. Great advice! You made a mistake in “Here throw this soft ball, instead”. This us encouraging them to throw things when one is angry. This is not acceptable.